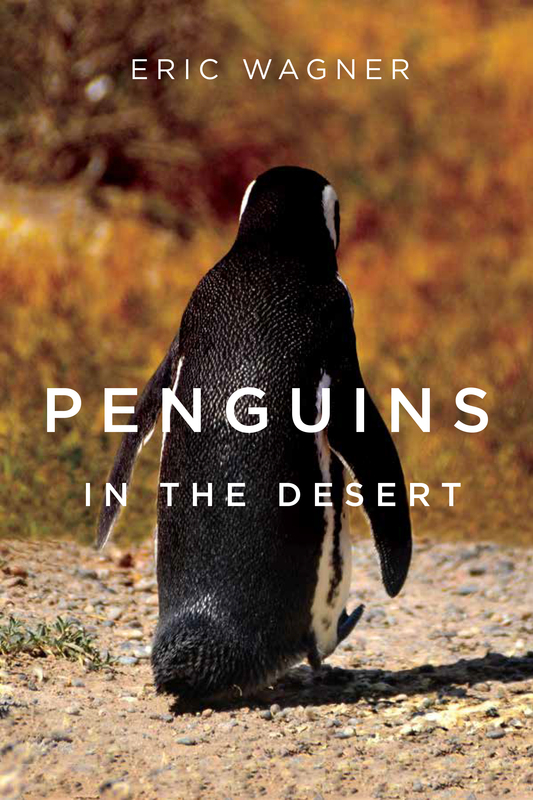 Captivating Penguins, Competent People, Charismatic Prose, and Critical Problems in "Penguins in the Desert"
Science and narrative, research and anecdote, objectivity and passion, all brilliantly coalesce in Eric Wagner’s new book Penguins in the Desert. Wagner depicts some of the most pressing environmental and biological questions facing us today through the lens of the largest penguin colony in the world outside of Antarctica. His accessible and charismatic prose takes readers into the desert of Punta Tombo alongside renowned scientist Dee Boersma to study penguins and chronicle scientists in the field. Below he provides candid insight into the process of drafting a book as captivating as the penguins he studies. 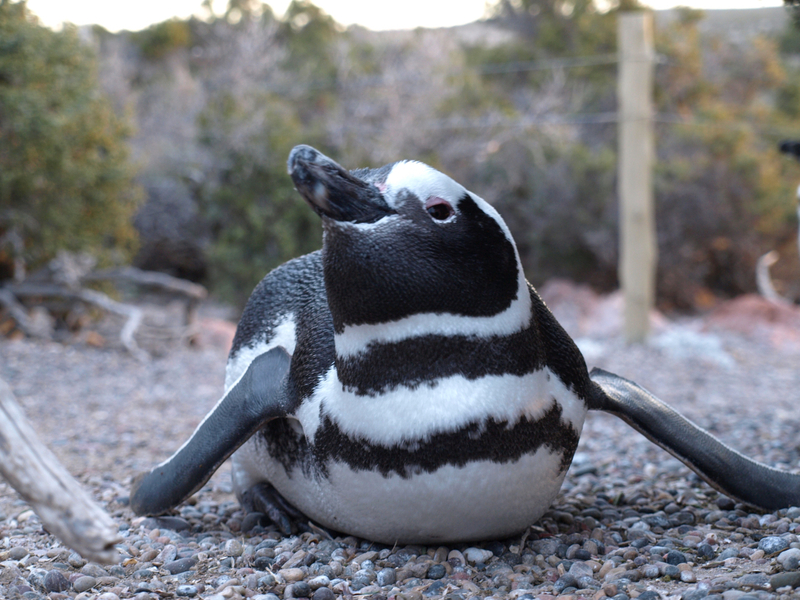 When [my wife] El and I first visited Dee Boersma in her basement lair at the University of Washington to learn about the penguins of Punta Tombo, there was a moment midway through our chat when Dee fixed me with a look in the way she sometimes does. “What are your goals for going to Argentina?” she asked. Or something to that effect. We were all sitting around a table in the middle of the lab. “I want to write a book about it,” I said, flush with daring. To be completely honest, I did not know how true this was until I said it. Why stop being so unwisely forthcoming? “I… I can’t promise that,” I said. “We’ll see,” Dee said, and sat back in her chair. She and I stared at each other for a few moments. It was hard for me to hold her gaze. It can be. El may have shifted a little. Who would win this staring contest? In the end I guess we both did, each in our own way. After El and I returned from Punta Tombo and while I was working on my PhD, I did a fair amount of freelance magazine writing. For reasons that are still unclear to me Dee tolerated this, but she was also befuddled. Who of sound mind and body, being presented with the opportunity to work with her, and on penguins no less, could possibly think about anything else? But I enjoyed the various stories I cobbled together. They gave me an opportunity to go other places and think about other things. Once I was writing an article about another biologist I know who runs a citizen science program around dead seabirds. Like Dee, she is a powerful personality. I interviewed her at her home in Seattle, and when we finished with the formal talk, I sat at her kitchen table while she made tea. It was a mild Saturday, mid-morning—the essence of a weekend. One of her cats was twining around my leg and purring. “So what do you want to do when you finish this thing?” Julia asked. “Thing” in this case was my doctorate. In a few months I would defend. “I really want to write a book about Dee and Punta Tombo,” I said. Julia chuckled. “Dee’s not going to like that,” she said. People often reacted this way when I told them I wanted to write a book about Dee and Punta Tombo. I think they could hardly believe Dee would allow anyone but herself to write about her penguins in any meaningful way. I knew she had misgivings about my project, but she had not (yet) expressly forbade me from pursuing it. In any case, I was prepared to live by one of her oft-deployed dictums: it is better to ask for forgiveness than permission. “I think she’s basically okay with it,” I said. “Good advice,” I said. I did not intend to take it. A few years passed. I finished my PhD in 2011. (“I knew you would,” Dee said.) El gave birth to our daughter in 2012. Other adventures and misadventures. Then I finally sat down to write a book about Dee and the penguins of Punta Tombo. I had my journals and sheaves of photographs and copies of the field notebooks and access to Dee’s entire body of work, and some rocks from Punta Tombo laid out on my desk along with a penguin bone or two. Over all of this presided a little plastic penguin figure I had found in a drug store. I hadn’t been to Punta Tombo for years, but I had a sensible plan for what I thought would be an act of painstaking reconstruction. I opened my journals. They smelled like Punta Tombo. I paged through them. Their creases were still gritty with sand. I looked at the pictures. I could sense the wind and heat in and around the moments they captured, hear the penguins calling. I flipped through the field notebooks and remembered the pencil in my hand as I scribbled data while El called out chick measurements. 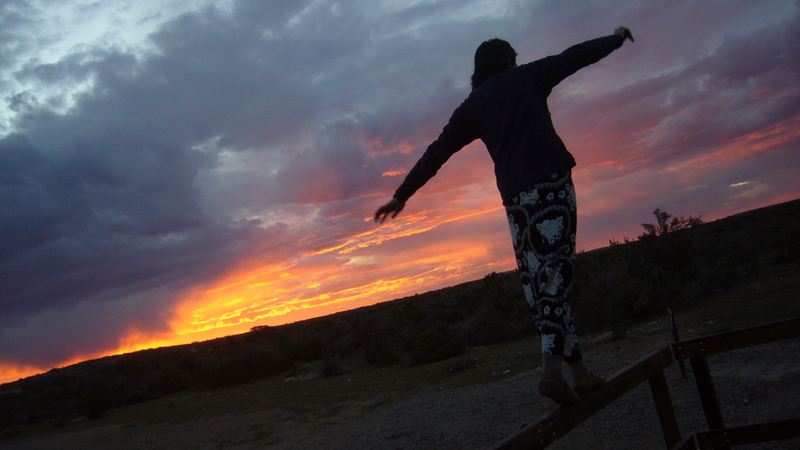 I listened to the music we had listened to down at Punta Tombo and felt how I had felt. Sometimes I just sat at my desk, dizzy with nostalgia and longing. I felt immediately defensive. This was when I was just finishing up the penguin book. What had until then been a private, intimate process was about to become much more public, and I was struggling with feelings of authenticity, or its lack. Others of Dee’s students had spent more time at Punta Tombo than I had. They were better scientists than I was and knew more about penguins than I did. Certainly Dee knew a whole lot more about penguins than I did. Yet I was about to present myself as something of a penguin expert. I wasn’t sure how I felt about that. And now here was Julia, asking, in effect, if I had caricaturized Dee. Rendered her inauthentically, in other words. My mouth may have flapped open. I hemmed and hawed and said something about the ways we talk about science. Most of the scientific stories we tell today are quest narratives. There is a person, or a group of people, and there is some question or problem, and they are trying to solve it, or, if not solve it, at least learn a little more about it. The scientists are the subjects, they are the ones pushing the light into the darkness, and so they are the heroes. (If you want them to be something else, set them in opposition to one another—then one of them can be a villain.) Also, when I was in school, a common complaint about those massive introductory biology textbooks was the way they presented science as a steady march from discovery to discovery, with little of the wrong turns and mistakes and frustrations and everything else that makes it a human endeavor. I wanted to show the human side of what can be an opaque process, and that meant dwelling on its rough edges—the quirks. Julia seemed satisfied with that answer. Later, I thought more about Dee and what it is to render someone authentically, and the relationship between honesty and discretion. There were stories I could have told that would not have flattered her. There were stories I could have told that would not have flattered me. I chose not to tell them for various reasons. Nobody is perfect. Certainly Dee is not. Certainly I am not. Punta Tombo is a place of imperfect beasts. But there is the urgency to this environmental moment, and it is focused on these penguins of Punta Tombo the way a magnifying glass focuses the sun. Dee has watched the colony decline by 40% in the thirty-five years she has done research there. She has watched the penguins suffer from the effects of climate change and poor fisheries management and relentless development pressures. To work as hard as she has for so long in such circumstances strikes me as heroic. Dee is also one of the most charismatic people I have ever met, and her charisma expresses itself in amusing ways at times. So yes, in my telling, she is both quirky and heroic. Can’t this also be true? 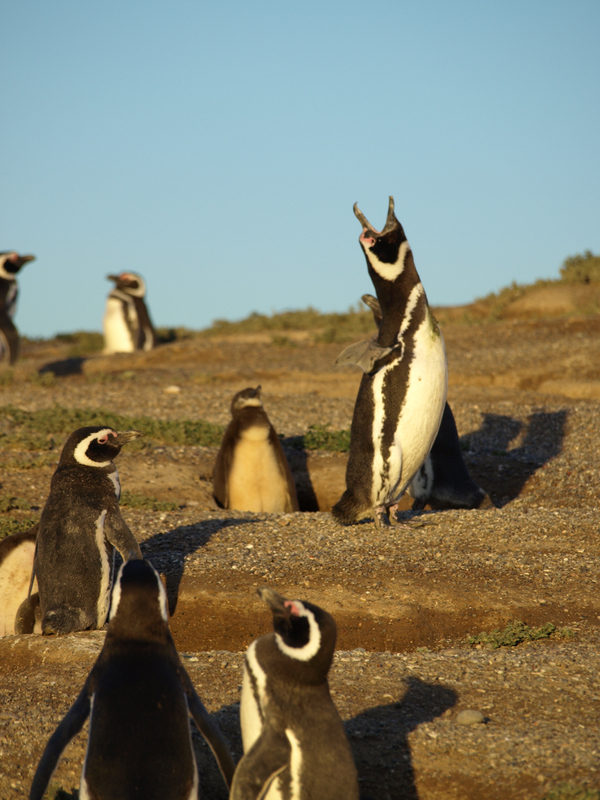 Now I have been asked to write this short piece about what it was like to want to write about Dee and the penguins of Punta Tombo, and I realize it is too soon to say. Best to wait a couple of years. I need some distance.